Over its lifetime DIMACS has run a great many workshops, but December 15, 2015 marked a new milestone. It was the first time that three DIMACS workshops ran concurrently. Over its lifetime DIMACS has run a great many workshops, but December 15, 2015 marked a new milestone. It was the first time that three DIMACS workshops ran concurrently. The workshop on “Network Coding: the Next 15 Years” was held at DIMACS, the workshop on “Cryptography for Big Data” ran at the Data Science Institute at Columbia University, and the “MPE 2013+ International Workshop on Citizen Science” took place at the University of Paris-Dauphine. 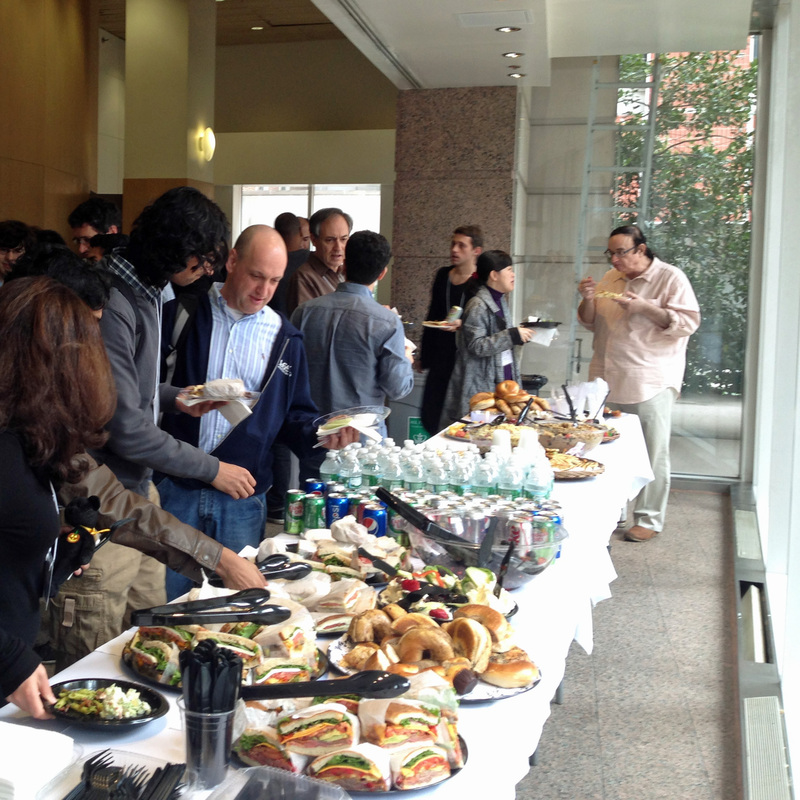 The workshop on Cryptography for Big Data was the kickoff event for the new DIMACS Special Focus on Cryptography. It was co-sponsored by the DIMACS Special Focus on Information Sharing and Dynamic Data Analysis and the Columbia Data Science Institute, where it was held in association with the Northeast Big Data Hub, immediately preceding the Hub’s inaugural workshop. The Cryptography for Big Data workshop emphasized preserving the privacy and integrity of computing on big data, particularly in scenarios like cloud computing where some of the parties may not be trusted. The program included research presentations on topics such as secure RAM computation, trusted hardware, and “backdoorless” cryptography, as well as three timely and accessible tutorials: “Computing on Encrypted Data” by Vinod Vaikuntanathan (MIT); “Exploiting Leakage in Machine Learning and Searchable Encryption” by Tom Ristenpart (Cornell Tech); and “Privacy of Secured Computations” by Adam Smith (Penn State). The workshop also had a panel on privacy challenges in policy and media that explored the question of how cryptography can potentially help to ensure civil liberties ranging from privacy of the individual to free speech and freedom of the press. Videos of tutorials and research presentations will be posted on the workshop website as soon as they are available. The workshop on Citizen Science is part of the world-wide Mathematics of Planet Earth initiative to involve mathematical scientists in addressing challenges facing the planet. This initiative has led to a large number of events engaging mathematical scientists with other researchers to address pressing planetary issues related to climate change, availability of natural resources, and natural disasters such as epiemics and floods, among others. The workshop on Citizen Science arose from a previous workshop on Sustainable Human Environments, which emphasized the use of data provided by ordinary citizens to make cities that are “smarter”, more livable, more resilient, and more sustainable, but citizen science or “crowd-sourcing” plays an increasingly important role in studies that range from wildlife monitoring to protein folding. The workshop discussed challenges in understanding the quality of data that citizens provide, how to merge citizen data with data from other sources, and the implications of crowd-sourced data quality for scientific advances and/or public policy decision making. 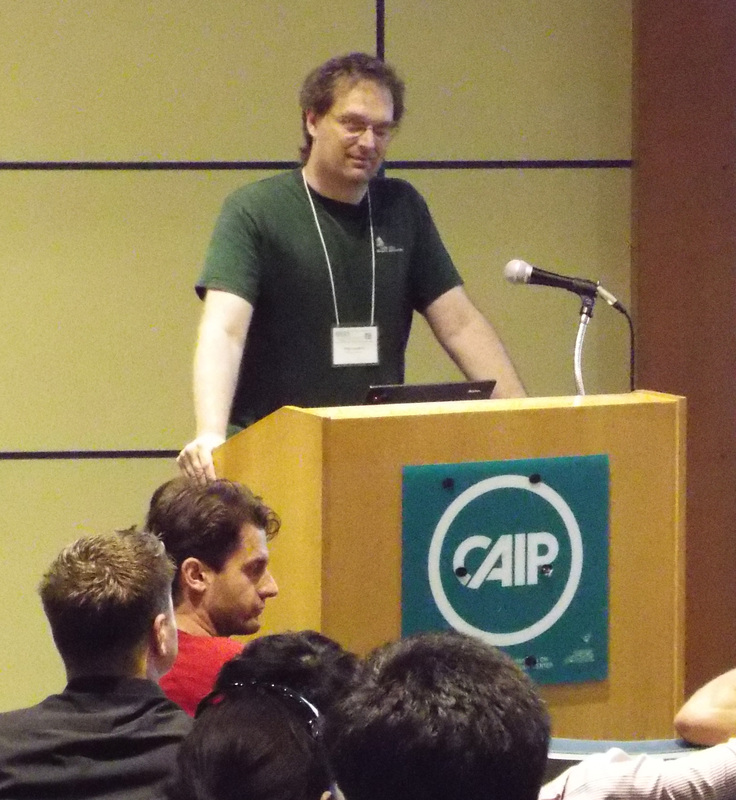 The workshop was part of the MPE2013+ project at DIMACS and our longtime partnership with LAMSADE which hosted the event. The workshop on Network Coding completed its own “hat trick” of sorts— it was jointly sponsored by three ongoing DIMACS special foci (Information Sharing and Dynamic Data Analysis, Cybersecurity, and Energy and Algorithms). The fact that network coding relates three different special foci reflects its broad potential for improving data transmission and storage by optimizing not only throughput, but also delay, reliability, security, and energy efficiency. The workshop featured presentations on the role of network coding in the broader area of information theory, algorithms for construction of codes with specific properties, and the implications of results in network coding for problems beyond the network coding domain, such as those in network security, theoretical computer science, mathematics, and combinatorial optimization. 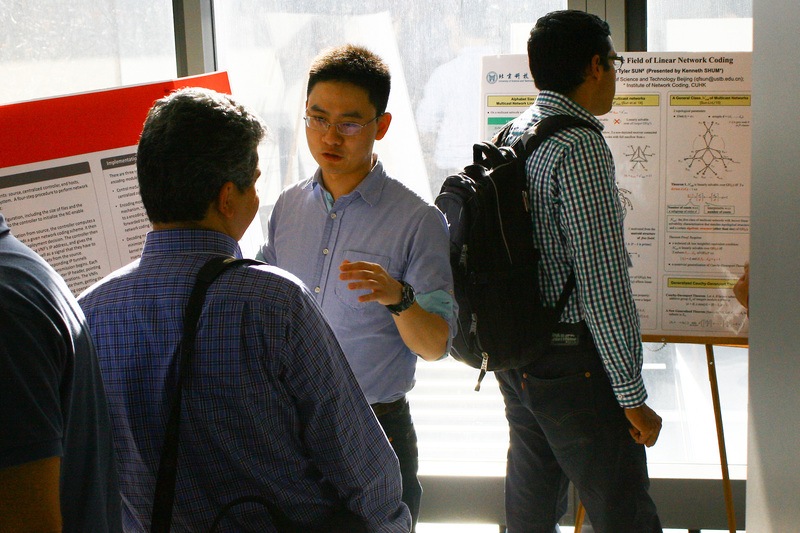 In addition to the research presentations, the workshop featured a lively poster session. Recordings of workshop presentations will be posted on the workshop website. In addition to the workshops noted above, the August workshop on Big Data through the Lens of Sublinear Algorithms was another 2015 highlight. The workshop presentations described some of the hottest results in the field, and included talks on traditional models for sublinear computation (such as streaming, property testing, etc.) as well as more recent ones like MapReduce and other modern distributed models. There was a healthy mix of speakers from both academia and industry (represented by researchers from Microsoft, IBM, Google and Yahoo! ), a poster session that involved many students, and two tutorials – “A Survey of Results in the Message Passing Communication Model” by David Woodruff (IBM) and “Graph Connectivity in MapReduce: How Hard Could it Be?” by Sergei Vassilvitskii (Google). With over 100 registered participants, the workshop was one of our larger events in 2015. 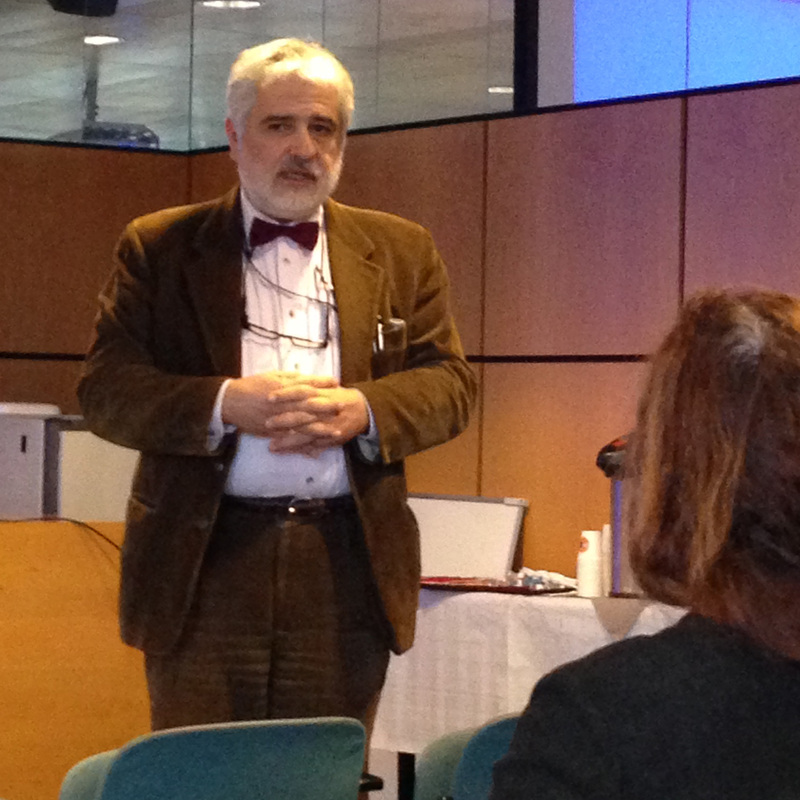 For all who were unable to attend, presentation videos are available on the workshop website.